LOCATION LOCATION LOCAION in the highly desirable Los Compadres neighborhood. This home is immaculate inside and out. Move in condition with remodeled kitchen and baths. Vaulted ceilings with lots of light natural light. Separate Living Room , Dining Room and Family Room with great fireplace . Amazing Chef's kitchen with Bosch appliances and breakfast bar, Silestone counters. Generous en suite size master with very large walk in closet . Each bedroom features a fantastic updated contemporary bath with quartz countertops and backsplash, updated cabinets and custom showers. Newer UV protected sliding doors and windows, factory finished garage doors, clerestory windows, 3 car garage with epoxy floor and newer HVAC system. BRAND NEW custom pool and spa with beautiful western mountain views. 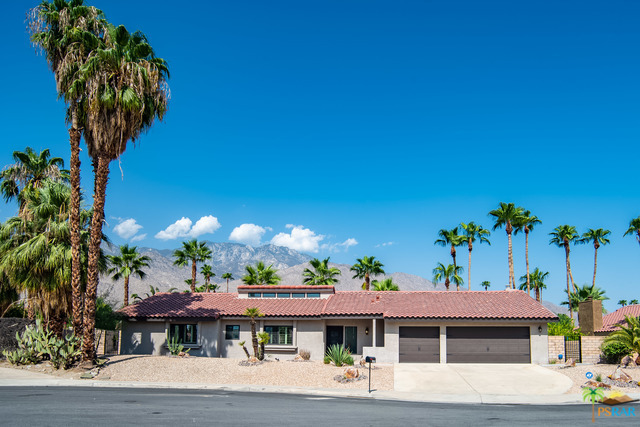 Close to downtown Palm Springs and all it offers.